Professor Michelle Haber AM joined Children’s Cancer Institute as a staff scientist in 1984. 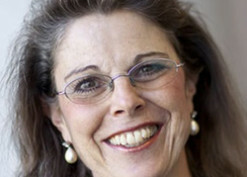 She was appointed Director of Children’s Cancer Institute in June 2000 and Executive Director in 2003. Michelle is known for her world-class research into the treatment of neuroblastoma and acute lymphoblastic leukaemia in children. She holds a conjoint appointment as Professor in the Faculty of Medicine at UNSW Australia. Michelle is the past President of the international Advances in Neuroblastoma Research Association (2010-2012) and, in 2007, was appointed a Member of the Order of Australia for services to science in the field of research into childhood cancer, to scientific education and to the community. In 2008, she was awarded an Honorary Doctorate from UNSW Australia for her eminent service to the cancer research community. In 2014 Michelle was awarded the Cancer Institute NSW Premier’s Award for Outstanding Cancer Researcher of the Year and in 2015 was inducted as a Fellow of the Australian Academy of Health and Medical Sciences.